The market for shark and ray products is first and foremost a luxury one. International trade is putting these species at risk and CITES must help. Forty years ago the international community decided to combat the critical issue of trading endangered species globally. In Washington the Convention on International Trade in Endangered Species of wild fauna and flora (CITES) was born with the objective to protect wild plants and animals from the risk of extinction. To do this plants and animals can be proposed for listing on the convention`s appendices I, II and III. Successful listing either ban trade, limit it if harvesting is done within sustainable levels or help conserve them. The increased level of threat facing many of our marine species due to unsustainable fishing is being discussed here in Bangkok during the 16th Conference of the Parties of CITES. It is a chance for the 178 countries that are members of the convention to demonstrate that it can fulfil its core objective for five species of sharks, two species of manta ray and one species of sawfish. Sharks and rays are grouped together because of their anatomical similarity having skeletons of cartilage rather than bone. They are especially vulnerable to overfishing. Compared to most fish species, they take a long time to reach an age where they can reproductive and have relatively few offspring in their lifetimes. Some species such as hammerhead sharks and manta rays aggregate in large numbers at certain times of the year making themselves even more vulnerable to being fished. Because of their role as apex predators, they are the tigers of the sea, their extinction from the ocean would have profound and devastating ecological consequences. The market for shark and ray products is first and foremost a luxury one. The fins, in the case of certain shark species, are used in shark fin soup. 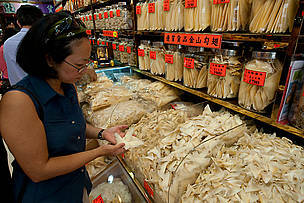 It`s a status symbol to include sharks fin as a standard menu item in Chinese celebratory banquets. Hammerhead shark fin is a particular favourite and has been recorded as costing as much as $135/kg in Hong Kong. The gill plates, in the case of manta rays, are used in China for a tonic soup that has become fashionable because of its perceived medicinal properties, even though it is not in the traditional Chinese pharmacopoeia. 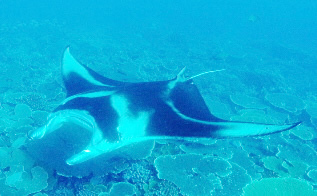 This is a recent trend and has caused the demise of some population of manta ray to decrease by up to 86% in the last six to eight years. Over the years a few shark species have been listed by CITES including the whale and basking sharks, and great white shark, which has limited international trade to sustainable levels and helped reduce the threat of overfishing. Nevertheless, recent meetings have failed to adopt proposals to list more commercially important species. 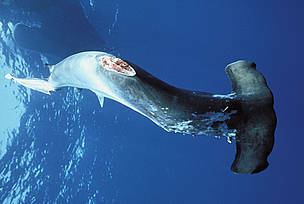 In 2000 proposals relating to the three largest hammerhead shark species and the oceanic whitetip shark, both of which are valued for their fins, and the porbeagle shark, which is valued for both fins and meat failed to be adopted. 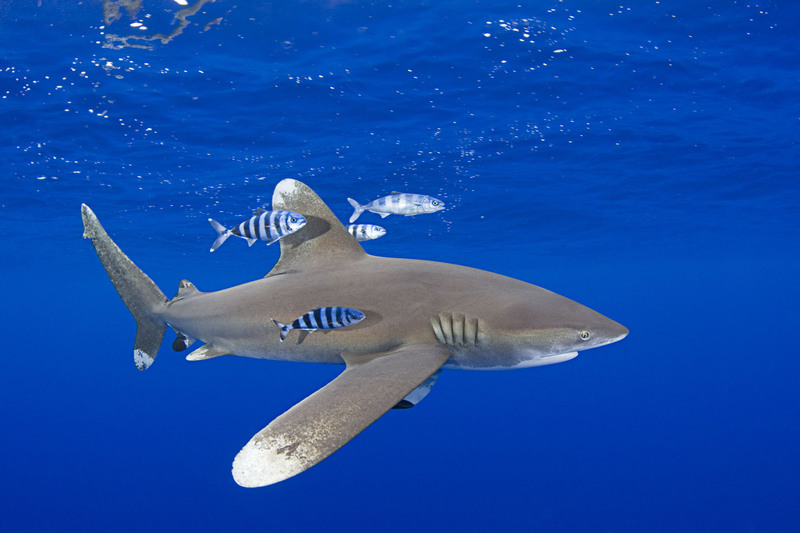 Hammerheads, whitetip and porbeagle sharks are up for debate again, sponsored on this occasion by a range of countries across the Americas, Europe and Africa. Meanwhile, Brazil, Colombia and Ecuador are proposing that manta rays also be added to limit trade. It should be remembered that the core objective of CITES is to protect wild fauna and flora from over-exploitation through international trade. It is time that the convention fulfilled this mandate with respect to these uniquely vulnerable and iconic species. The manta ray, or giant manta, is the largest of the rays, ranging up to 6.7m across its pectoral fins and weighing up to 1,350kg. It ranges throughout the tropical seas of the world — typically around coral reefs — consuming plankton and other small organisms. Shoppers looking at dried marine products like shark fins and dried abalone in Sheung Wan District, Hong Kong.